5. You Gonna Edit This Thing or What?! — Who Is Ron Carnage? 5. You Gonna Edit This Thing or What?! The book is pretty much done, and we want YOU to help us edit the dang thing. The release date will inevitably be pushed back due to designers screwing us yet again, but now we have a chance to get some friends involved. If you’d like to edit the anti-novella for story and grammar weaknesses, email tom at Tom@cleancutaudio.com, and he’ll send you the full story. In return, all we have to offer is a pre-release hard copy of the book, some stickers or whatever, and a mention in the “special thanks to…” section. Let’s do this thing!!! Read the first chapter of Ron Carnage: The Thinker Boy here! Older Post4. Ron Carnage: The Antinovel? 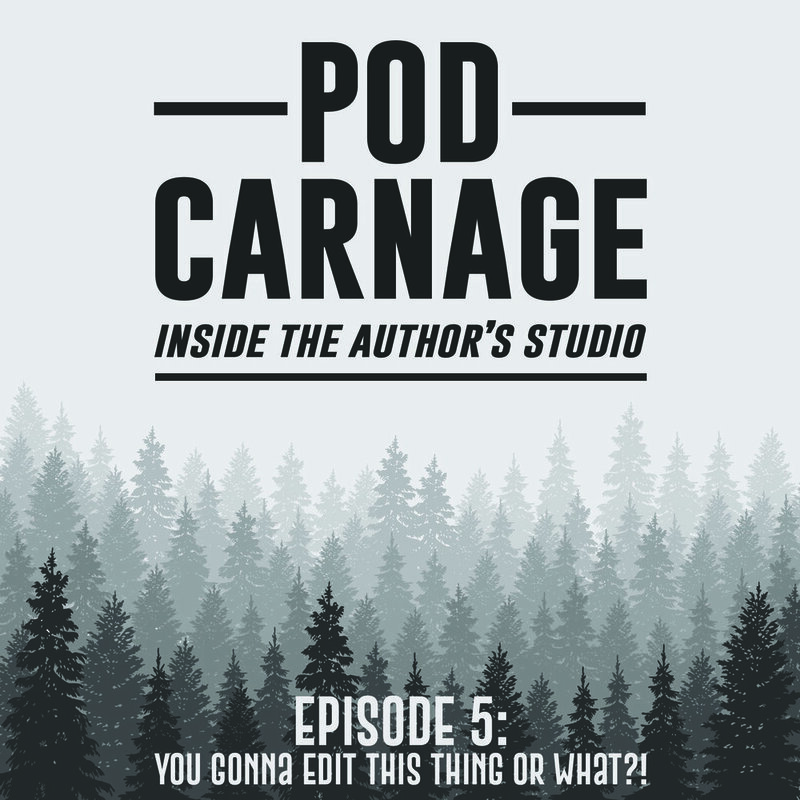 is a podcast about the making of the Ron Carnage novella series. The universe is vast and growing, and these first time authors are learning as they go, and leave it all out on the table for their listeners to hear. Sign up with your email address to receive news and updates about Ron and his pals from the old neighborhood.